Published on January 16, 2015 by Martyn. Be the first to comment! Beta-Life (Comma, £10.99), edited by Martyn Amos and Ra Page, is a timely anthology inspired by the 2013 European Conference on Artificial Life. The project brings together 19 authors with scientists working in a range of artificial life and unconventional computing disciplines “to follow research itself into the future, rather than reflect purely on current concerns”. 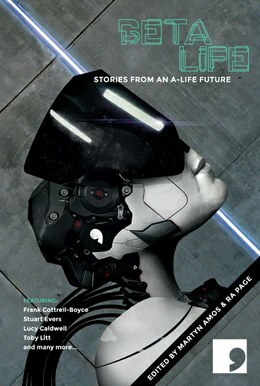 The result is a strong anthology of speculative fictions set in 2070, each followed by a factual essay by a scientist. Standouts include Martyn Bedford’s sly story about lie-recognition software and the difficulty of writing about the future, “The Sayer of the Sooth”; Adam Marek’s cautionary tale about the dangers, both personal and societal, of cellular nanotechnology, “Growing Skyscrapers”; and Adam Roberts’s marvellously tongue-in-cheek “A Swarm of Living Robjects Around Us”, which explores the nature of machine consciousness and our dependence on technology. Many of the fictions are cutting-edge, and the essays offer a crash-course in futurology.